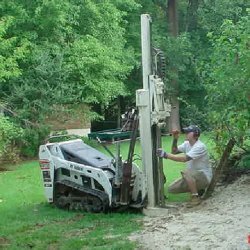 From hand auger single surface sampling related to farm use to full-scale multi-property soil and groundwater delineation, CEMCO has the experience, equipment, and regulatory expertise to provide site assessments for both commercial and residential customers. CEMCO maintains an experienced staff of professionals ranging from geologists, fully licensed subsurface evaluators, licensed well drillers, trained field crews, and experienced report writers in order to handle all aspects of a site delineation and remediation. An accurate site assessment should be performed in order to properly remediate any site. CEMCO excels at providing turnkey solutions to your environmental issues by conducting a thorough site investigation that is tailored to your individual site. Whether the trigger is a real estate transaction, regulatory changes, or a voluntary clean-up, CEMCO has experienced field and technical personnel to provide you with a comprehensive site assessment. Our staff of geologists, subsurface evaluators, and chemists can pre-map the area to determine potential areas of concern. Vast experience allows CEMCO to evaluate groundwater flow, soil lithology, and local geological boundaries to define impact to groundwater and surrounding areas. Celebrating our tenth year in New Jersey, CEMCO is able to ensure complete regulatory compliance. CEMCO can provide the technical expertise, along with the regulatory knowledge and individualized assessment, that ensure the most cost-effective and compliant remediation options. We are constantly reviewing and investigating the ever-changing regulatory climate in order to provide our clients with unbiased assessments. This gives our customers the confidence in CEMCO that we value.